Mom and Dad went to see her doctor today. We are continually struggling with the fact that there is no one, clear diagnosis for Mom. It is important to understand that there is no definitive pathological test to diagnose Alzheimer’s Disease, Parkinson’s disease or most of the other things that cause dementia. The only way to know for sure what someone has it by looking at the brian postmortem. Dementia is a very broad category but it looks like Mom falls most into the category of having Lewy Body Dementia (LBD). The Lewy Body Dementia Association says, “LBD is an umbrella term for two related diagnoses. LBD refers to both Parkinson’s disease dementia and dementia with Lewy bodies.” You can see that this is a hard thing to figure out because Lewy Body Dementia symptoms are very much like the symptoms of Alzheimer’s and Parkinson’s. In the end, what does this realization mean for Mom’s treatment? Not much. It will not change how Mom is treated because there are no different medications for Lewy Body dementia that we can add. The only way it helps is that it gives us greater understanding. For instance, we now know that Mom’s extreme fatigue is not caused by medication or anything we can fix, it is just part of the dementia. It explains why Mom’s cognitive functioning varies day to day and even hour to hour. We are glad that this helps us understand the fatigue because by far the fatigue has been hardest to deal with. If we got rid of it, we could improve Mom’s quality of life substantially. 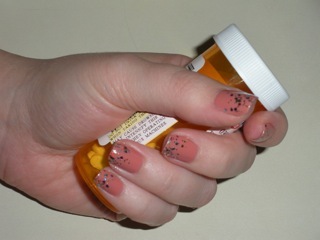 We have gone bath and fourth trying to change medications and do a number of things to decrease the fatigue. Now we know that this fatigue Mom has been dealing with for seven years, even before the other symptoms started, is part of the dementia. Now we just really need to focus on how to live with it, rather than fight it. As anyone dealing with dementia knows though, the disease affects everyone differently and you can never really predict tomorrow, but at least this information might help. 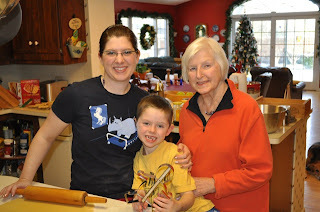 For fifty years, Mom was the one who handled all of the cooking and all of the holiday preparations. She is the only person I know who can make a Thanksgiving dinner for thirty people, on her own, and have everything done to perfection and on the table at the exact same time. However, over the past three years, that has changed, and now Dad does all of the cooking and family helps out on holidays. Mom still loves to cook though, so around the holidays we try to make sure she can make some of the things she likes. My sister has been having her over for a few weekends to bake the Thanksgiving bread together. Today Mom and Dad were cooking the stuffing together, and lets just say it was an experience. When Mom works with my sister, all goes well. My sister is very patient, writes out everything step-by-step, works slow, is organized, and never looses her temper with Mom. She knows the correct way to help allow Mom be engaged and still do things she loves. On the other hand, my Dad and I are the opposite of my sister. We have much less patience, less organization, and we work faster. When Mom is subjected to cooking with either one of us, it can be stressful at times. This is something we keep working on and we are glad my sister can give us a good example to follow. My first cooking lesson to help people with dementia to slow down, be organized, and be patient. Besides the pace and style of working together, I learned another lesson of how dementia makes it a bit harder to cook with Mom. Following recipes has become very hard for Mom. When we have recipes that are short and well laid out, that is a big help. However the stuffing recipe today had two recipes on the back of the package and conversions based on how many servings you need to make. Not really an easy recipe to follow. So today Dad was trying to follow the recipe, Mom was telling him he was doing it wrong, he was telling her she was doing it wrong, and I was just watching. 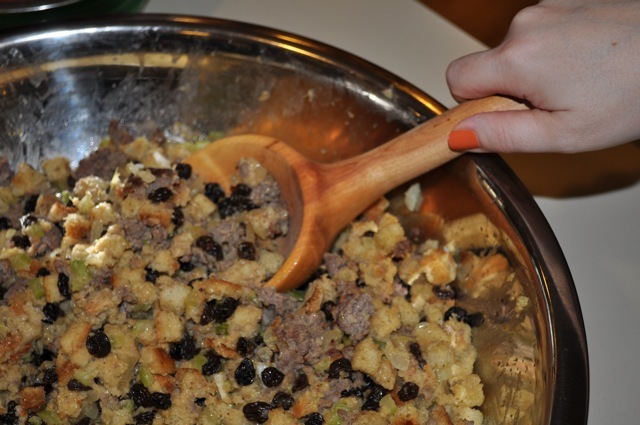 What we finally realized was Mom has made the same stuffing, from the same package, for fifty years, but she did not follow the recipe as it is written on the back. We did not figure out until a while into the process that Mom was not confused at all. She was remembering what she used to do and that is why the recipe did not make sense to her. There have been other times while cooking when Mom was not remembering correctly and she would make a recipe wrong by following what she thought was right rather than following the recipe. Today was not one of those times though. How do we know when the dementia is causing a problem, or when she really remembers what she used to do if all we have is a recipe that we are supposed to follow? My second lesson in cooking with a person with dementia is not to always assume they are wrong, even if they are not following the recipe as written. We feel bad that the experience was stressful for both Mom and Dad today, although now we are all laughing about it. I have a feeling there will be many times like this to come in the future but hopefully our humor will outweigh the stress. 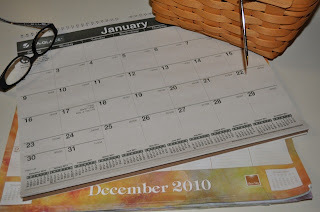 I have to admit, I never really paid much attention to blogs until I started thinking about writing one a year ago. Since that time I have found many wonderful resources on all different topics from bloggers all over the world. Since starting my blog, I have come in contact with many different people and it seems like I keep coming across others who are doing things to help in the cause of dementia and Alzheimer’s. Sometimes I find these people in unexpected places. Those of you who know me know I have a thing for makeup, particularly bold colored eyeshadow. On a beauty blog which reviews such makeup (Phyrra.net), I clicked on a link to the jewelry Phyrra was wearing. Looking through the Etsy shop, I found “Wear the Lilac for Alzheimer's” jewelry. I think it is amazing the ways people use their gifts and talents to help with a cause they feel called to support. 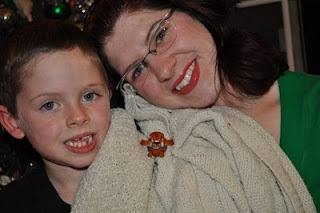 I contacted Kelly of Whimsy Beading to find out how she thought of this fundraiser and why she is doing it. I discovered she was inspired by an author, Terry Pratchett, who announced he had early onset Alzheimer’s. “The Wear the Lilac for Alzheimer's fundraiser started in 2008, not long after Sir Terry Pratchett's announcement in March of that year that he had donated 1 million USD to the Alzheimer's Research Trust UK. Before then, like many of Pratchett’s fans, I "wore the lilac" on May 25th as a reference to the events in the novel Night Watch. Lilacs are not common in my part of the US on May 25th, it's too hot for them to bloom. So, I started making lilac pins out of silk lilac blooms for myself and other local fans and giving them away. After hearing of Sir Terry's donation, I wanted to do more than that. So I approached some of my online fan communities and asked if they would be interested in purchasing a lilac pin if they knew the entire proceeds of the sale would be donated to Alzheimer's research both in the US and in the UK. The fandom's reaction was very positive and so I set up the Wear the Lilac for Alzheimer's page on my paid photo hosting site. In the first year, Wear the Lilac for Alzheimer's donated over $1,000 to the Alzheimer's Association and the Alzheimer's Research Trust UK. The next year, another $350.00 was raised. This year on May 25th 2010, $770.00 was donated and we will make a donation each May 25th thereafter. I don't lay claim to being the first person to "wear the lilac." That honor is Sir Terry's alone. I also don't lay claim to being the only person to associate the two events - wearing a lilac blossom/clothing and showing support for Alzheimer's research. But I do lay claim to starting the Wear the Lilac for Alzheimer's fundraiser and being at the start of the "grassroots fan campaign" that hopefully has helped those suffering from Alzheimer's and their loved ones. On a personal note, Alzheimer's has touched my life as well. 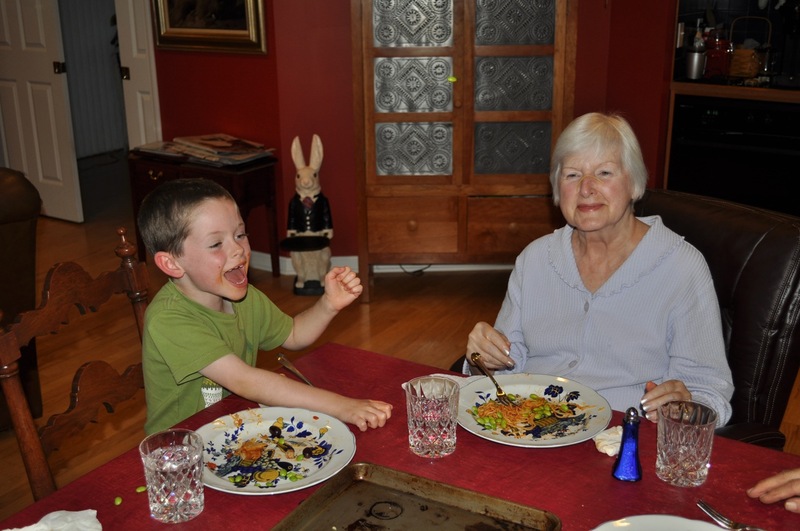 At the first of this month, I lost my beloved "adopted" grandmother, a woman who has been a large part of my life to a combination of mid-stage Alzheimer's and stomach cancer. So, the work that Wear the Lilac does is in honor of not just Sir Terry (who I could never honor enough if I tried) but her. 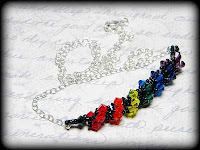 In 2009, we made a one-off necklace to raise more funds. 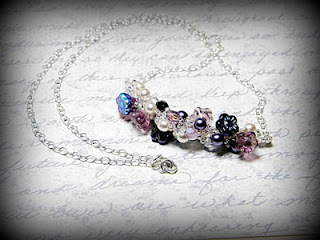 In 2010, I started selling the current line of "Wear the Lilac" jewelry as well as the lilac pins. I also started donating part of the proceeds from other Discworld inspired jewelry from our shop to the Wear the Lilac fundraiser. I also want to mention that she has items to support The Trevor Project which works to end suicide among LGBTQ youth by providing life-saving and life-affirming resources such as a suicide hotline for gay and questioning youth. I will be supporting Kelly's efforts in donating to these two causes which are so important to me. I am seeing how the blogging community can make a difference, especially if we work together to support each other’s efforts. If any of you know others who have fundraising or other projects going on for Alzheimer's disease, dementia, or Parkinson's disease, please let me know! Today Mom mentioned in one of our conversations, “People always say Alzheimer’s is hardest on the caregiver.” In that moment, I realized just what this often quoted statement might mean to the person with dementia. We were in the middle of talking about how often caregivers speak for their loved one and how infrequently we actually hear from the person with dementia. We said we need more support for the actual patient, and Mom came out with the statement above. I felt like Mom was minimizing how bad this disease is for her because she was taught to do so. In my experience there are a whole lot of books and support groups for caregivers of people with Alzheimer’s and dementia, but often the actual person with dementia is left out. I hear the quote Mom said at least a few times a month. I rarely hear people say how hard this disease is on the actual person who has it. Yes, dementia is hard on the caregiver, there is no denying that. I just worry when we focus so much on the caregiving side that we are giving the impression to our loved one that their suffering does not matter. For some this statement may also make them feel guilty, as if they are a burden on their caregivers. I don’t want Mom to have the impression that she is a burden or that her experience of how difficult this disease is is not valid. I actually felt ashamed that Mom so readily repeated this statement. Of all things I want her to remember, that statement is not my first choice. Being a caregiver is hard now and will only get worse. However, the disease is very hard on Mom too. I can see how hard it is for her. How she is scared of the future and the fact that one day she may not know who her children or husband are. How she feels as of her life has lost it’s purpose because she is so limited in her abilities. 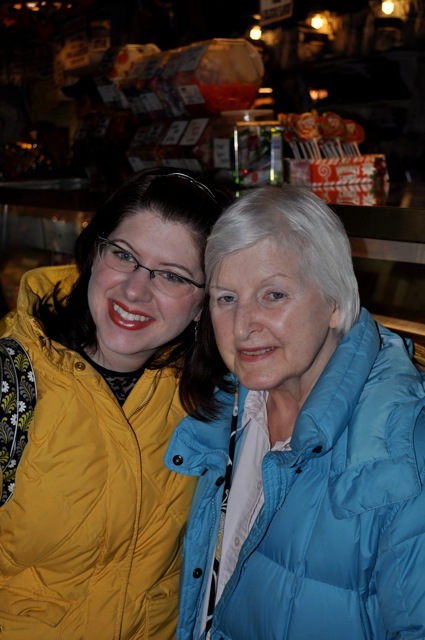 This is the one illness she was most afraid to get because she lost her mother to Alzheimer’s. This, in many ways, is Mom’s worst nightmare become reality. I don’t want to compare who Alzheimer’s/dementia is hardest on. It is hard on us all in different ways. It is hard to watch her go through this because Mom knows she can not remember, she knows she can not understand. She will repeat back to you what you just said and yet the reality of the situation does not make sense to her. She says yes, the dolls are at her friends house, and we have to get the dolls out of the basement and take them to her friend. This middle stage where the person with dementia knows they can’t remember is hard because you see in their eyes how much they want to remember and how frustrating it is for them to know their mind is not correct but there is nothing they can do about it. We knew this would happen, this is the way the disease progresses. But you do not really know what it is like until you get there. In fact, when I go back and read this blog post, I realize it does not quite make sense. What actually happens to the mind with dementia is hard to explain and unless you have experienced it, you might not quite get what I am describing. It is a combination of not knowing and knowing that you don’t know. You understand that you do not understand. Mom says though that knowing she does not know something allows her to hang on to the rest of the world. In a way it is comforting to her because it shows that she still has a grasp on reality in some way. 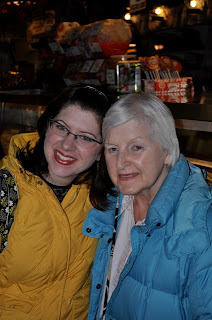 I can see the many challenges that Mom’s worsening dementia will bring to her individually and our family as a whole and I wonder how we will handle it. Will we have the patience, the time, and the emotional strength to care for her? How will she take it when she loses this grasp she has on reality and no longer knows she does not know? There are a lot of unanswered questions in our future. My husband and I have just finished watching both seasons of Joss Whedon’s television show “Dollhouse,” which got me thinking about how we value our memories and the fear we hold around losing them. Dollhouse is a science fiction show about people who volunteer (for vast amounts of money) to have their memories and personality wiped away by the Rossum Corporation. After they are wiped clean, Rossum can then program them to be anything someone wants. 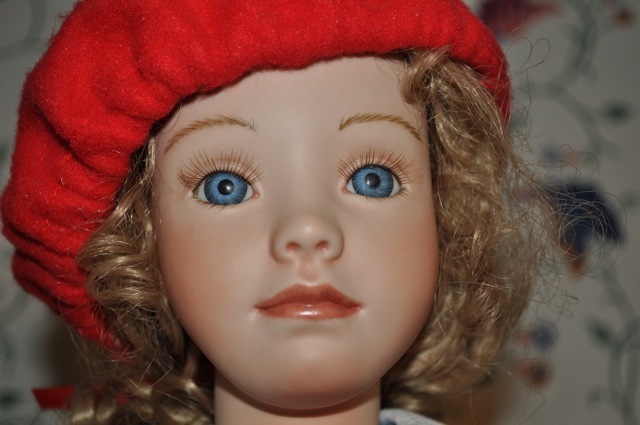 They are able to rent these “dolls” out to wealthy clients to accomplish various assignments. When the dolls are not imprinted with memories, they walk around in a trance. After five years, their original memories are put back and they go on with their life. However, things go horribly wrong, the dolls are exploited, and the world is on the brink of collapse. The ultimate salvation in this show is to give everyone back their own memories. The aspects of the show that were interesting from the standpoint of dementia is that the worst thing which happens to the people in the show is the exact same thing which happens with dementia. You lose your memories, and often become someone else. People’s personalities change with this disease. You may never really recognize your loved one again because they no longer act the way they used to. And eventually they end up in a “doll state” wandering aimlessly around with a blank stare. The salvation from this disease would be to get your memories back. We can enter a world of science fiction where people’s minds are wiped clean and we hope for these people to get their memories back. We know how frightening it must be to lose everything about who you are and we think no one should have to endure that. But we do not often understand that something very similar is happening in reality every day. It is argued in the show that the “dolls” have no idea who they are or what they lost, therefore this mind wiping is not unethical because it does not hurt them physically or emotionally. With no memories, they don’t miss what they once had. People make the same argument about advanced Alzheimer’s patients as well, that they have no idea what they have lost so they feel no grief or pain at what is going on and who they have become. I believe by making such an assumption we are minimizing and not understanding the severity of this disease. We do not know if dementia patients really have no idea what they have lost. In fact, in the television show the whole plot revolves around a few dolls, one in particular, who do remember little snippets of who they were. They know they have lost something they once had and this is profoundly agonizing for them. They can’t vocalize what they have lost, but they know something is wrong and they want to remember. How do we know this is not what advanced dementia is like? This show, to me, represents the ultimate fear of dementia, that we are trapped in our own bodies, not really knowing who we are but feeling intense terror and grief at what we know we are missing but cannot name. I know we do not want to describe the disease in that way, but I also know this is what many people with dementia fear the most. What will it take for Alzheimer’s and dementia to get the attention it needs? What will it take to raise awareness and obtain funding? What will it take for purple to represent November like pink represents October for breast cancer month? My family and I went to a program put on by The Daughter’s Club of the Alzheimer’s Association Cleveland Area Chapter tonight entitled “A Nation Responds to the Alzheimer’s Crisis.” This was a great program with speaker Robert J. Egge, the Alzheimer’s Association’s Vice President of Public Policy and Advocacy. He gave a compelling and easy to understand talk about how Alzheimer’s is a national crisis and the things we need to do to combat it. He had many great points this evening, and there are a few I would like to highlight. First he said that we have, for too long, talked around Alzheimer’s and what the disease is like instead of being honest about what happens. He said, “Alzheimer’s disease incapacitates and then it kills.” Until people start to know the severity of the disease, they will not want to work for a cure. He also talked about how by 2050, because of the Baby Boomer generation, Alzheimer’s disease will increase substantially. (for facts and figures, see my previous post The Future of Alzheimer’s). But, what really hit home for me is that for every one of us, if we live to be 85 years or older, we have, on average, a 42% chance of getting Alzheimer’s. That is if you have no preexisting indicators for the disease then the percentage goes up. This is a disease that affects almost half of the population who lives to be 85 or older. Do people understand that every single one of us, after age 85, has a 42% chance of getting this disease? That is a huge risk, and many of us are living well into our late 80’s. We also saw statistics for the death rates of different diseases from 2000-2007. Death from HIV has gone down 22%, death from breast cancer has gone down 3.1%, and death from stroke has decreased by 8.9%. However, death from Alzheimer’s has INCREASED 50.6%. And finally, for those of us who are concerned about the financial burden this disease puts on our nation, if we figured out how to just delay the onset of Alzheimer’s by 5 years, we could decrease what we spend on the disease by 50%. These all seem like pretty compelling facts as to why we need to raise awareness and put a lot of funding into research. Most compelling to me though is hearing the stories of people who live with dementia and the stories of how dementia affects the patients loved ones. It is a devastating illness where the patient looses everything about who they are. They lose their memories, and often even their personality. The sweet father you once knew can become an angry, volatile man who does not recognize you anymore. People die knowing nothing of who they are or what their life was like. That’s why we need to fight to end this crisis. I am so thankful for the Alzheimer’s Association and all the wonderful people we met this evening who are willing to work together to make a difference. It gives families like us hope and patients like my Mom the knowledge that people care about her. What can you do right now, right this second? Sign up at HERE with the Alzheimer’s Association to be an advocate and they will send you monthly updates on how we can make a difference. This weekend we learned a new section of choreography in the medicine dance. Many of you know this dance. Where the doctors try all different kinds of medicines that are supposed to solve this or that problem, only to find they don’t work, cause more problems than good, and then they give you another medication, and another, all causing their own problems, on top of the problems you already have. We had a rough time this weekend because Mom started a new medication which is supposed to help her sleep. Mom’s excessive fatigue during the day limits her activity to, on average, three hours a day, and the rest of the time she spends sleeping. Her doctor suggested that while extreme fatigue is common in Parkinson’s Disease, maybe we could lessen it by helping her sleep better. Mom has REM sleep behavior disorder (RBD). REM sleep is dream sleep, and during this time your body is paralyzed except for eye movement and breathing. This is good because physically acting out your dreams would be a problem. However, many people with Parkinson’s have this RBD which means they are not paralyzed during their dreams and they act them out. Also, the content of the dreams are very similar for all patients. In these dreams a loved one is being attacked and the patient is trying to fight off the attacker. Some people while acting out these dreams hit their partner in bed and so this can cause a lot of problems. For Mom though, she mostly just talks a lot, screams out in her sleep, and spends most of the night in a state of barely conscious extreme anxiety. I remember she told me of one dream where an animal was attacking our son Jeffrey and she was trying to fight the animal off. This means that Mom does not get a good deep sleep because of this sleep disorder. There is a medicine that can counteract RBD and the doctor thought if she gets some more restful sleep, that she might be less tired during the day. So, we tried it for a few days. This medicine Mom took is supposed to be fast acting, supposed to be short lasting, supposed to make her less tired during the day, supposed to have her wake up well rested, and supposed to get rid of the nighttime hallucinations and dreams. Well, it is fast acting, got rid of the hallucinations and dreams, but made Mom unstable, less able to walk, and so tired all day that she could barely get out of bed. If she did wake up she would stare off into space and barely move. She would say she was going to go get dressed, and then just sit there and stare at her coffee cup. The medication really immobilized her and made a person who is already unstable and who falls easily, unable to walk without assistance. So, we will call the doctors again and see what they say. What the will probably say is the medicine was not supposed to do those things but medicine interacts differently with everyone. “We will try something else,” they will say. However, often this trying something else all the time just makes life more difficult and scary for us all. The whole thing is just frustrating, and very impersonal. The dance will continue and I just hope no one falls and gets hurt. Despite being relatively in contact with what is going on in the world of Alzheimer’s/dementia, I did not know until a few days ago that this month is National Alzheimer’s Awareness Month. This tells me that we defiantly need more publicity around this disease and I hope one day this month will be as recognizable as breast cancer awareness month. So, in an effort to get more information to everyone, I have a few resources for you. There are links to these events below. First of all, I live in the Cleveland area of Ohio so let me fill you in on what is going on here. 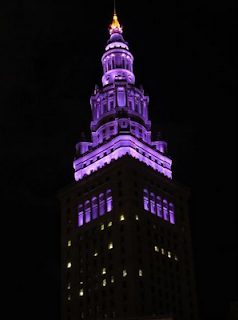 If you drive downtown, you will notice that the top of the Terminal Tower is purple for Alzheimer’s awareness. Spread the word to your family and friends about what the color of the Terminal Tower means. Also, there is an event next Tuesday, November 9 called “A Nation Responds to the Alzheimer’s Crisis” which sounds like a great program highlighting what needs to be done to address the Alzheimer’s crisis, which I wrote about in a previous blog post. For people who are in their 20’s and 30’s, there is an event on Thursday, December 9 at Shula’s 2 called “Party for a Purpose.” I think this is a wonderful idea because not only does it raise awareness, but it does it in a way that gets the younger generations involved. I am 31 and rarely meet people my age who have a parent with Alzheimer’s. Many people my age do not really know the details of this disease. Nor do they know that there are many things we can do now to delay the onset of dementia or even just keep our bodies and minds in the best shape possible so when we are older we do not have a multitude of health problems that make our last years or decades harder to handle. Events like this can help us care for ourselves and others better, and have compassion for people dealing with this disease. "A Nation Responds to Alzheimer's"
RSVP to Vicki at vicki.winner@alz.org or 216.231.1332.
for a festive night of appetizers, drinks and great conversation. Please bring an item to donate to a local Alzheimer’s facility. Your purposeful donations will make special holiday gifts to those in need. There are other events coming up in our area throughout the year, such as the Memory Walk each October. I want to thank Sheryl Berman, the Special Events Coordinator for the Cleveland chapter of the Alzheimer's Association for giving me this information. I am sure she will keep me posted on what is going on and I will forward the information to you all. For those of you not living in the Cleveland area, you can find out what your city is doing for National Alzheimer’s Disease Awareness Month by visiting the Alzheimer’s Association homepage and entering in your zipcode. Together we can raise awareness, look for a cure, and help care for one another. It is a good thing Mom and I have so much fun together or we would have lost it today. Most of the shirts that fit were in a size with sleeves which were much too long and shoulders that sagged. The suggestion from the sales representatives was to layer. We should get a smaller sized shirt, leave the shirt open, and wear a tank (which you slip over your head) underneath it. I tried explaining that layering was too complicated with Mom’s Parkinson’s and dementia. One sales associate treated me like I was the worst daughter in the world by saying Mom needed clothes that were easy to wear, even though Mom was right there agreeing with me. I did a lot of the talking because Mom was having a hard time explaining what she needed. It was as though the woman thought I was over exaggerating Mom’s limited ability and I was putting her down. Frankly, it was offensive to be treated that way- judged as if I was a bad person. And it was demeaning to Mom that this woman expected Mom to be different and she could not to recognize Mom’s limitations. I know many people don’t truly understand Parkinson’s or dementia. People usually think Parkinson’s means head or hand tremors. They don’t know that often patients can’t use buttons well, or they can’t lift their arms over their head or put their arms behind their back. People do not understand that dementia affects a person’s ability to understand where the button holes are and figure out how the clothes go on. This is because we have a lack of awareness of these two diseases. We do not talk about them enough and most of the time patients are relegated to their homes or in a nursing home. There are clothes made for people with Alzheimer’s and Parkinson’s but they are highly unflattering attire. We looked at them, but Mom was not ready to go there. Needing to wear unappealing clothes because of Mom’s illness is another way to take away who she it. It says: “Look at all you have lost, we do not even make nice clothes for you to wear.” It is just another way that her worth and dignity are slowly taken away, and another way we remove people like Mom from mainstream society. I know some people might think something like clothing is a petty thing to care so much about. I know the fact that we even have the ability to buy new clothes is a blessing. However, the clothing issue is important because it is another part of this disease which makes life harder for Mom, and it shows us how our society treats people who are different. I have read a lot about Alzheimer’s and one of the main suggestions the professionals give you about caring for someone with dementia is that you should meet the person where they are. They say not to argue with a person with Alzheimer’s when they insist that it is 1950 and they are in high school. Don’t try to convince them that they are in a nursing home when the person really thinks they are working back in their profession from twenty years ago. Before I lived with my Mom, and even when I worked as a chaplain a few years ago, this made sense. However, this advice does not always make sense when you are actually living with a person with dementia. Mom is not to the point where she thinks she is a teenager again or does not understand where she is, who she is, or who we are. She does have increasing confusion though and I notice that when we are struggling with Mom, often the professional advice would be to meet her where she is, go with what she thinks is going on. But that does not always work. For instance, for the past two days, Mom has been worried about the time and day of her next haircut. She saw the appointment and she thought she had a conflict with the appointment so called to change it. When I pointed out that there was no conflict and she was looking at the wrong month, she asked me to call and change the appointment back, which I did. Today again she could not understand when the appointment was and how it did not conflict with another event. We kept trying to explain it to her, but even she mentioned that she just could not understand what was going on. It was frustrating for her and it is probably a discussion we will have again tomorrow, and maybe every day for a week and a half until her appointment. I can’t meet Mom where she is on something like this because we can’t just go to a hair appointment this weekend that does not exist. Or what about when she insists that she has more porcelain dolls in the basement, when in reality they just do not exist? I can’t get them for her, because there is nothing there. I can’t pretend they exist because she wants to display them. It causes a lot of emotional pain for her, and all of us, to go through these times, but meeting her where she is, is not an option. This middle stage of dementia can be quite hard to handle because you can not just enter into the imaginary world of the patient because they still know what is going on. They know their brain is not working correctly and they are struggling to understand what is reality and what is not. I feel like much of the advice about dementia is for people in the advanced stages and those suggestions just do not apply to where Mom is. If anyone knows of more books or advice for people in the middle stages, let me know, maybe we have just not found it yet. I guess today I am just trying to express that sometimes all the advice and suggestions in the world don’t work for individual situations. It is a frustrating and sometimes lonely place to be. “Our government is ignoring what is likely to become the greatest threat to the health of Americans: Alzheimer’s disease, an illness that is 100 percent incurable and 100 percent fatal. It attacks rich and poor, white collar and blue, and women and men, without regard to party.” This quote is from a great article in the New York Times today called “The Age of Alzheimer’s,” written by Sandra Day O’Connor, Stanley Prusiner, and Ken Dychtwald. It is a wonderful overview explaining the increase we will see in Alzheimer’s over the next twenty years, and why we need to increase funding for Alzheimer’s research. The article points out that for every penny the National Institutes of Health spends on Alzheimer’s research, we spend more than $3.50 on caring for people with Alzheimer’s. As the baby boomers reach 65 years and older, more than 10,000 people per day are at increased risk of Alzheimer’s. I know in my Mom’s lifetime, there will most likely be nothing that will be found to cure her dementia, but if we start giving more money to research we can create a better future for the potential 13.5 million people who will get Alzheimer’s by 2050. My Mom hopes for a better future for these people than the future she was given. 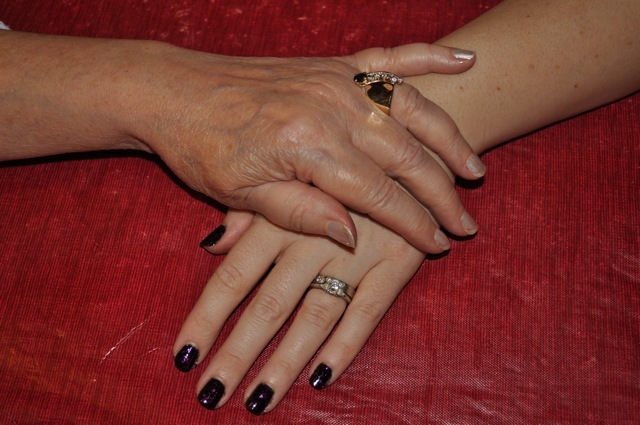 Mom watched her mother live with and die from Alzheimer’s disease thirty years ago. In those thirty years we have made very little advances in the cure of this disease. I know Mom does not want her children, who genetically have an increased risk of Alzheimer’s disease, to go through what she is experiencing. She has committed to donating her body to science after she dies so researches can have more of a chance to combat this disease. An increase in funding requires a mass movement of people demanding that Alzheimer’s research become a priority. 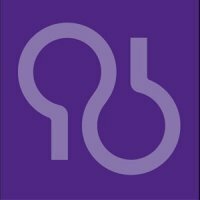 It will entail legislation which will increase the annual federal contribution to research, such as the bill which is in front of Congress right now, S 3063: National Alzheimer’s Project Act. For more information on how you can help pass S 3063, go to this page of the Alzheimer’s Association website. You can find out if your member of congress supports the act and find ways to contact him or her. My niece just sent me some photos of her wearing a costume that my Mom made for me in high school, fifteen years ago. I was struck by two things, one that Mom can no longer sew or make things like this anymore, and two that we can keep Mom’s inner spirit alive by incorporating the past. 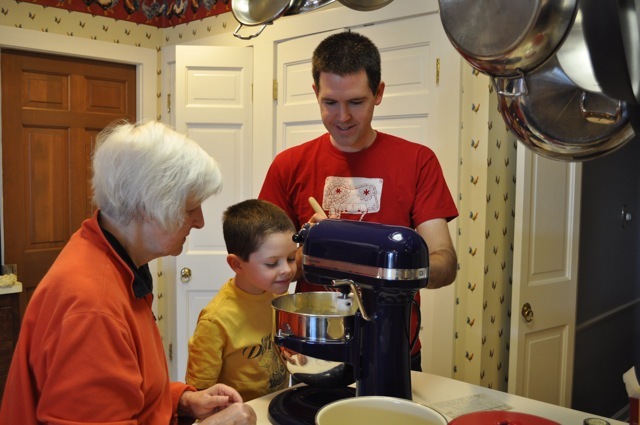 When we honor and remember what Mom used to be able to do and when we incorporate the things she has made into our lives today, we are keeping Mom’s memory alive. We remind her of what she has done in her life, and we let her know how much those things mean to us. The costume my niece Julia wore is a Belle costume from Beauty and the Beast. Belle is my and Julia’s favorite Disney princess. I wore that costume for Halloween, and then in college I wore it while I worked at the Disney store and I created “Story Time with Belle” at the mall. Not only are our lives touched by that costume of a character we love, but so were many children’s lives because they loved story time with Belle. They would draw me pictures and thank Belle for reading to them. 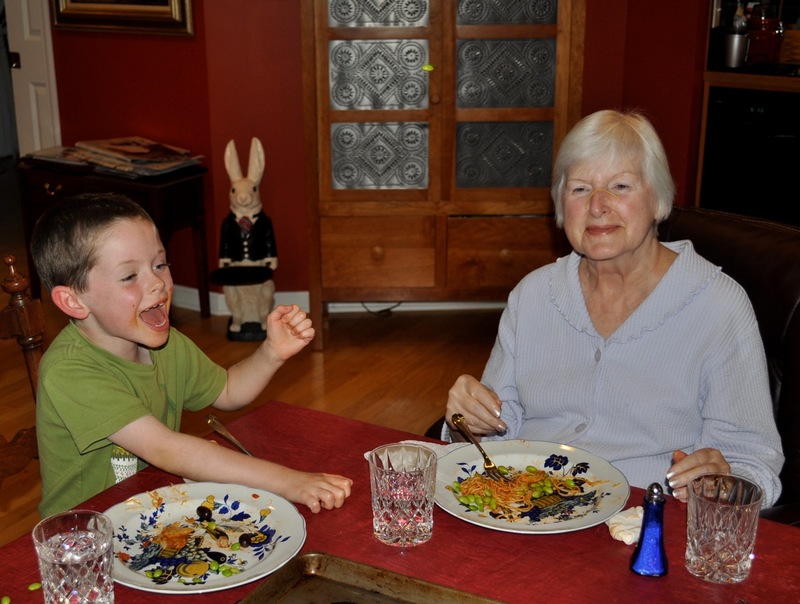 When Julia wrote to us and sent us the photos, she made Mom very happy. Mom saw just how much she contributes to this world, even now that her abilities have changed. The inner spirit of who we are lives on through the people who keep those memories going. Maybe it is our job now, as Mom is losing her abilities and memory, to help keep her spirit alive by enjoying the past and reminiscing with her. Mom often talks about feeling worthless now that she can not do things like she used to. She feels like her inner spirit is lost. We can help her find herself again by the ways in which we honor who she is and all the things she has done for us. Julia can wear her costume, I can cook pies making the crust Mom taught me to make, and my son loves his white blanket Mom made for him which he carries everywhere. Mom’s spirit and love is in all of those things and we can share that with her, with each other, and with the world. I was out of town for a few days this weekend for the ordination and installation of one of my good friends from seminary. Being with many of my classmates who I had not seen in a group since graduation in May reminded me of the wonderful power healthy community can have in our lives. I realized I would not be where I am today, living with my parents, if it had not been for the community example of my classmates and the example from many Unitarian Universalist churches I have been in contact with over the years. Six years ago, when we joined our first and current Unitarian Universalist church, West Shore UU Church, was the first time I learned about real community. It was there where I was lifted up and in many ways healed by a community who accepted me just as I am. Then four years ago, my husband, son and I moved to Chicago for my seminary education. It was with a two and a half year old son, no keys to our new apartment, and a broken down moving truck that, we met Michael and Cara. Just in the midst of having no food and a tired child, Michael came walking into the backyard with his two little boys around Jeffrey's age. They invited us into their apartment. We played and laughed and when Cara got home from work we all had a dinner of mac and cheese, grapes and peas. It was one of the best dinners I can remember. From then on I learned what community means and I was reminded of it once again this weekend. This weekend I was on traveling alone with my son and yet I was not truly alone. Much of the weekend was spent in choir rehearsals, which would be hard to attend with a child. However, friends of Michael and Cara, who I had just met, and our seminary peers took care of Jeffrey and the two boys. They played with them, drove them from church and back. Carried three car seats, three kids, and various item the kids had brought with them. Complete strangers, to us, from Michael’s new wonderful congregation provided home hospitality to those of us who had traveled in for the occasion. At the lovely home we stayed in Jeffrey got to eat fresh eggs, see chickens, pick strawberries and carrots, and take a boat ride in a pond. He learned about plants and animals he was unfamiliar with. It was the example of my friends and the many Unitarian Universalist churches I have been to, which has allowed me to come back and live with my parents. These people taught me that if we can love people just as they are, then we can live in close community together. Healthy community does not mean a group of people who always get along and are always happy. It means a group of people who have made a covenant (a promise) to support and care for each other. It will not always be easy, you may not always get along, but you keep coming back to the relationship. When things don’t go well, you talk about it face to face. You give in, you compromise, you agree, you disagree. We speak the sometimes hard truth to one another. We celebrate each other’s joys, comfort each other’s sorrows, and speak honestly about our failures. A community does all of those things in respect and love. A community comes back to it’s covenant when it fails and it remakes the promise to each other. In our house, we have fun, we respect and care for each other, and we mess up. Without my experiences with people who embody this ideal of healthy community, I never would have thought Mom, Dad, Jeff, Jeffrey and I could live together. Other people showing me that I am loved and cared for just as I am enabled me to live out some of my highest values, those of caring for our loved ones. Ever since I was little I had a vision of a world like this, where people helped each other in this way, but I never thought it was possible. These communities I have been with in the past six years have made that dream a reality. It is with gratitude and joy that I recall that first day in Chicago with Michael and Cara. From their example, and the example of many others, I learned what true community means and now I am able to live that dream with my parents and the larger community of which we are a part. It has become increasingly more complicated to schedule things in our house anymore. Mom is getting more forgetful and has an especially hard time if more than one thing is different than usual. For instance, this week my husband Jeff is out of town part of the week, my son and I are gone over the weekend, and I have had a few meetings in the evenings, and one night all of us had meetings at the same time. The other night Mom had no idea where we were going and when I went over the travel schedule with her again, she was angry and made the comment “Why do you guys hide everything from me?” I can see why she is angry. In her mind, we did not tell her what we were doing. And frankly, I admit that while we did tell her, I did not remind her enough or remember to put everything on the calendar. In the future I will write things down better and remind her more, but it is not only the schedule that is confusing. 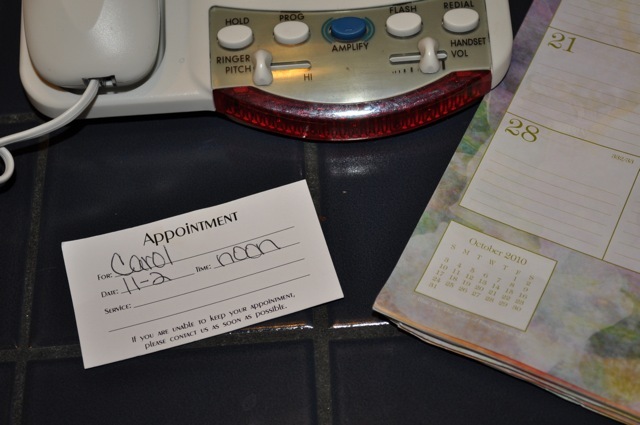 Even when Mom remembers the schedule she can’t remember why we are going somewhere or what we will be doing. It is just way too much information for her to remember and it is frustrating. It is hard to balance all of our lives together at one time. We can’t stop doing things we like, but we also need to make sure Mom is more included and does not feel as though we are hiding things from her. Possibly writing down the when, where and why of our travel and meetings would be helpful. The reality is that sometimes life moves very fast and a person with dementia can not process things quickly. You really need to slow down and be patient. However, we do not always have that option, and those are the times when it is particularly hard. It is not pleasant to have to leave Mom when she is confused and did not know we were going anywhere. But we have to get to the meeting, or catch the flight, and sometimes we can’t slow down and take more time. I feel in those moments that I do not have the ability to address Mom’s feelings and truly take care of her. I feel like I am choosing myself over her, which is true. I know we all have to chose ourselves over other people at times. We do this with our friends, partners, kids. This is never an easy thing to do, but if we do not take care of ourselves and do the things that bring us joy, we can’t really take care of and support others. What I hope is that overall Mom knows we love her and want to take care of her, even if we are not good at it sometimes, and even if we have to leave. The best thing we can do is keep trying to have better communication as her abilities change so we lessen the times of last minute confusion just before we have to head out the door. It is common for people to call Alzheimer’s disease, “The Long Goodbye.” Patients wrestle with this illness for decades and therefore it is a long goodbye for the family and friends of the person with dementia. We slowly see them slip away. We say goodbye to small parts of them at first, their ability to remember a new phone number, their quick answers to questions. Then we start to say goodbye to more and more. We say goodbye to the hobbies we used to do together, we say goodbye to their identity, we say goodbye to our mother or father who is looking at us but has no idea who we are. Every day we live with how hard it is to watch someone go through this and we experience how difficult it is to care for them. Sometimes it feels like days last forever. Nancy Mace and Peter Rabins wrote the book The 36 Hour Day to illustrate just how long the days may seem caring for a person with dementia. It is a long goodbye. And yet, sometimes it seems much too fast. I look over at Mom and notice that she no longer looks like the mother I know. She is much smaller, the twinkle in her eye is gone, sometimes she forgets how to write, and sometimes I have to cut her food for her. In those moments I wonder how this all happened so fast. In my mind and memories I still see Mom cooking Thanksgiving dinner for 30 people. Getting every single dish out on time, perfectly cooked, steaming hot. Beautifully golden mashed sweet potatoes without a lump in sight, the marshmallows on top perfectly browned and crisp. 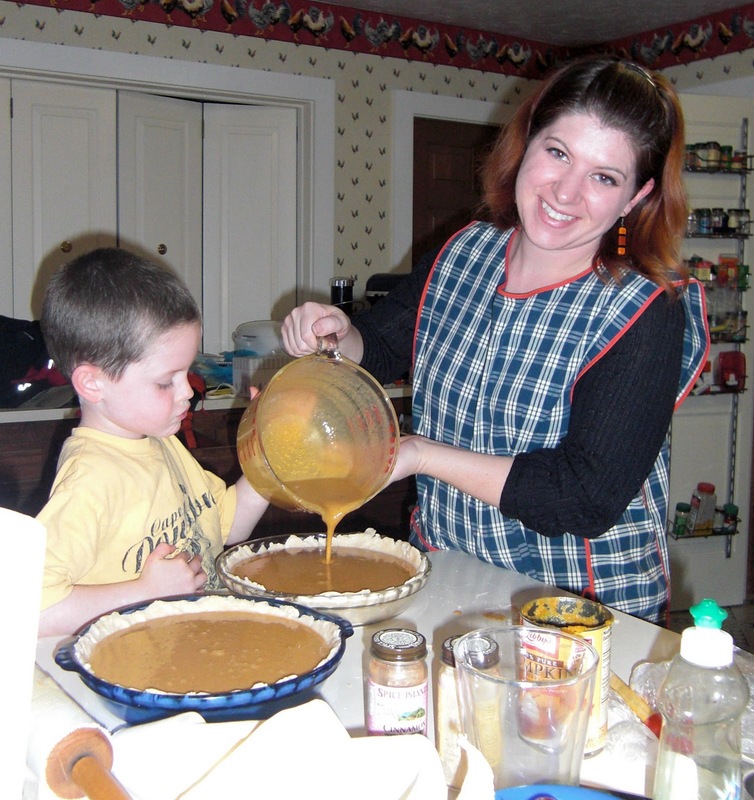 I see her in her blue and white apron with the red trim, creating the most perfect pies in her immaculately clean kitchen. She is not the same anymore and sometimes it seems like it happened way too fast. What saddens me even more though is something I have not heard mentioned when people talk about the long goodbye of Alzheimer’s. We always talk about the long goodbye for the family and friends, but what about for the patient? What is it like to say goodbye to yourself? To who you are and everything you have done? To say goodbye to your family and friends? Years or decades is a long time for them to not only say goodbye to themselves, but to everyone around them. 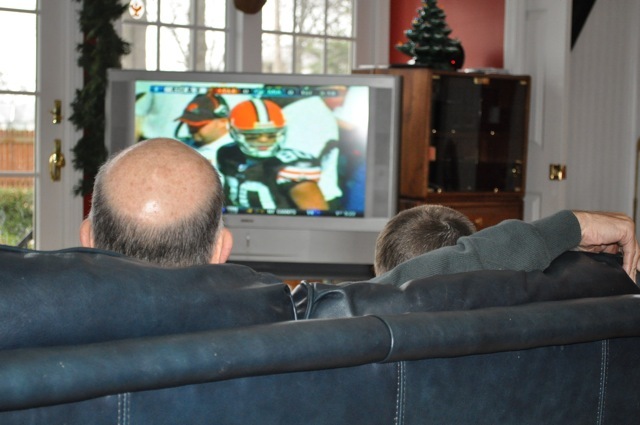 My family tries as best it can to live in the moment and enjoy what we have, but there are times when I get a sense of just how sad and scary this disease is for everyone involved. It is a long goodbye which comes much too quickly for us all. It started out as a nice quiet dinner of spaghetti tacos and edamame. As Jeffrey tried to pick up an edamame on his fork, it launched into the air towards Papa. To which Jeffrey laughed hysterically and Papa said “If you really want to get some height on that, you have to do it this way.” And he put an edamame on the handle of a fork and told Jeffrey to hit the top of the fork. Jeffrey hit the fork and sent the edamame flying across the table. And that is how the Great Edamame War of 2010 started. Jeffrey was launching edamame into the air aiming at targets, such as Papa and the water glass. We were all laughing and Jeffrey was cracking up so hard that he couldn’t breathe. We had edamame on the floor, in the water glass, and in our laps. 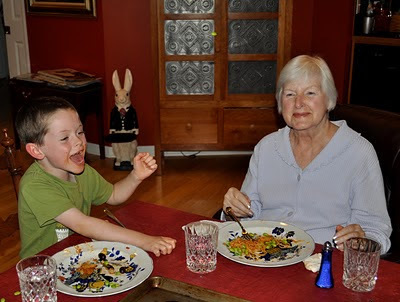 When it started, at first I told Jeffrey to stop flinging edamame because it had been a hard day for Mom and she is usually not one for messiness and chaos. However, she joined in on the fun, putting spaghetti on her nose as if it were a worm, and had a really good time. One of the difficult aspects to Mom’s illness is that it is so unpredictable. For quite a few days, Mom was doing better than usual and was in a great mood. Then, for unknown reasons, she became much more confused. The confusion and excessive fatigue understandably increase Mom’s depression and frustration. She did not want to do anything or go anywhere, and she was very annoyed. I had no idea one of the things that would cheer her up, even if it was just for a short period of time, was a food fight. This illness is just so unexplainable and effects each person differently. We have no idea when Mom will have a good or bad day. Sometimes she remembers things, other times she does not. Sometimes she is happy, sometimes she is depressed and angry. We have no way to predict what will happen, and no way to fix what is going on. When things are not going well I often worry and feel a need to keep my son quiet and behaving “properly.” In reality though, it is his innate joy of life, his rambunctious childlike nature, that helps Mom. His ability to have fun allows us all to bring out our inner child, which sometimes is just what we need. I could have cried when I heard him say that. I know it seems like such a small thing, but to me it was a big deal. It showed just how much Jeffrey knows about Mom because he lives with her every day. I also heard in his voice that he was quite proud of his grandma who used to handle a snake at the zoo. By living with Mom and Dad, Jeffrey really gets to know who they are. He hears random stories about them from when they were little. A few days ago at school Jeffrey told me he had some bubblegum for Papa (my dad) and he started laughing. He was joking that he was going to pick some tar off of the playground because my dad had told him a story about how during World War II, when there was no bubble gum, Dad used to chew tar instead. In many Unitarian Universalist child dedications, we say we give children roots and wings. The roots are their family background, tradition, where they come from; and the wings are the encouragement and acceptance that set the child free to be their own person. I feel like Jeffrey living with his grandparents helps him know and understand those roots in a very different way. The roots really are a part of his life, he is proud of his grandparents, thinks they are fun, and he loves to hear stories about them. He also knows more about me and his aunts and uncles because Mom and Dad can tell him stories about us that even we don’t remember. He gets to hear what we were like when we were kids and the funny things we did. Jeffrey feels a connection to something larger than himself since he knows these roots so well. He will comment on things he does or traits he has and say, “I think I got that from Mommy” or someone else in the family. The gifts Mom and Dad give Jeffrey just by living with him and sharing who they are with him are priceless. We spent much of the day today preparing for Mom to go out to a church function tonight. Dad talked to her earlier in the day about going and she had agreed to go. Then around dinner time, Mom decided that she did not want to go so Dad, I and my son all tried to convince Mom to go out tonight. At the Cleveland Clinic Health Talk about Parkinson’s disease, we were told that family and friends of the patient should not nag them. We should not remind them to stand up straight when they walk, we should not tell them repeatedly to do something. Tonight though, we were nagging Mom and I was not going to let up. You see, socialization is one of the best things for Mom. It is part of her “treatment plan.” The best thing for her to do today was go out and be with other people. I did not feel like we could back down and just not let her go because that would make her more depressed and lonely. It would bring her spirit down and make her feel worse. So after much talking, or nagging, Mom went with us to church. She socialized, she walked around and talked to people on her own. She smiled, laughed, and had fun. She said after we got home that she is glad she went. She had a good time and it made her feel better. I really want to respect the “no nagging” rule, because none of us likes to have people nag us about doing things. However, what do we do when not nagging means letting someone harm themselves? It is kind of like how I have to tell my six year old son to look both ways when he crosses the street. I remind him every time, because he keeps forgetting. Sometimes, for all of us, the thing that would help us the most is the very thing we resist doing. At those times, we might need someone to nag us. To almost drag us out of the house so we take care of ourselves. I know I have needed my husband to do this for me, and at times it literally saved my life. It is a hard balance to strike, but on days like today, it is well worth it. So, nag away (responsibly and with compassion) my friends. Many times a day, Mom asks us “Where are the dogs?” This question used to drive me crazy. I felt like every five seconds I was looking for the dogs, calling them in from the back yard, looking for them in the basement. I would tell Mom where the dogs are and then try to tell her all the reasons she does not need to worry about them. Finally I realized that Mom was not really asking me where the dogs are. I had to stop responding to the question and respond to the emotion behind the question. Mom is always wondering where the dogs are, where my son is, where Dad is, where my husband is. What she is really asking is if we are all safe. Mom loves us and just wants to know we are all ok. She was a stay at home mother, so she was always keeping track of her five kids, husband, and two dogs. That is who she is and it gives her great anxiety not knowing if we are safe. So now the questions, “Where are the dogs?” and “Where is Jeffrey?” do not bother me anymore. What Mom is really saying is “I love you.” So we will search for and find the dogs, usually sleeping on the couch. And we will make more of an effort to communicate with Mom about where we are. We can write our location on the dry erase board in her bedroom so she always knows where we are and who is picking up Jeffrey from school. People with dementia often ask repetitive questions or make repetitive claims about things. Often times they repeat themselves not because they can’t remember, which is our first assumption, but because they have a recurring feeling. Questions about the location of a person are often not actually questions, but an expression of the emotion that they care about someone. Claims that someone stole an item (a common statement made by people with dementia) may not be an accusation, but really an expression of a feeling of loss. Loss of ability or control. Listening to the emotion and not just the words is a practice that can help us in all areas of our life, not just with our loved ones with dementia. There is usually an emotion driving what we are saying and if we can get to that emotion, we can get to the heart of the matter. "Validate the feeling behind the words. Even if you are unable to understand what is being communicated, look at the non-verbal signs of emotion. Is she upset? Joyful? Afraid? Respond accordingly providing lots of affection and comfort." Probably at least once a month someone asks my husband and/or me if we are moving. When are we going to get a house? A year ago when we told people that we were going to move in with my parents, many people either thought we had serious money problems or we were just plain crazy. I know what we are doing is counter-cultural for many Americans. We have voluntarily chosen to move in with my parents, because we want to live together. We don’t need to do it for financial or child-care reasons. My parents are both vocal about the fact that this is our house now, as a family. We pay rent, like we paid our mortgage. So, why did we chose to do this? I chose to do this because dealing with this illness is not something Mom and Dad should have to do alone. My husband and I were fortunate enough to have the option of moving and helping with Mom’s care, and we wanted to use the blessings we have in life to their fullest capacity. And frankly, I did it because I thought if I die tomorrow, I would regret that I did not spend more time with Mom and Dad and help them. I am their daughter, Mom and Dad cared for me, and I want to do the same for them. We also wanted our son to know his grandparents and know what it is like to live in a multigenerational community. Living together in this way requires a different kind of relationship, a real relationship. It means that we communicate and talk to each other. We have to tell each other what is working and what is not or we will all be miserable. For this kind of community living to work, we have to be honest and vulnerable and that is not always easy. Our relationship is about constantly re-committing to each other. We realize that we can’t make it work all at once, we have to go back and make it work over and over again. Living in this house also means we have a lot of fun. We laugh all the time. Mom and I watch murder mysteries together. Dad, Jeff, Jeffrey and I bike together, often with friends. Mom and Jeffrey try to scare each other all day (it’s an on-going joke with them). We make spaghetti tacos for dinner, we burn pizza and the fire trucks arrive. So, we won’t move out unless Mom and Dad ask us to, or somehow this living arrangement becomes a safety issue, particularly for our son. Living together is fun, sad, frustrating, scary, boring, exciting, exhausting, supportive, caring, and loving. It is just life, in all of it’s ups and downs. We are just choosing not to live it alone.